London, 31st January 2013: Mynewsdesk has released a report looking at how the world’s top 100 brands are using online newsrooms. It found that while many companies are delivering a positive newsroom experience, there are areas for improvement with, for example, 35% of newsrooms containing information (such as executive bios, annual reports, fact sheets and product listings) that was out of date. The content being shared by brands showed a clear bias towards traditional media and journalists, with many often ignoring the needs of broader online influencers such as bloggers. On average, brands posted 11 stories to their newsroom each month but only 21% used it to offer added value content such as blogs, related industry news, tips and advice. The Mynewsdesk benchmark study – What’s the Story? – is available for download here. It took the top 100 global brands (as identified in Millward Brown’s 2012 Brandz Top 100) and benchmarked them against a set of criteria looking across seven categories including content, social media and contact. Coca-Cola (79%) and Siemens (72%) topped the ranking, but elsewhere scores were mixed. 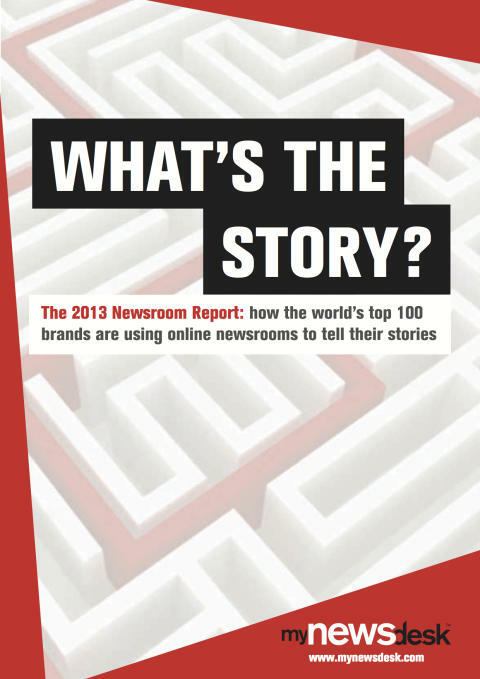 Despite 98% of brands surveyed having a newsroom, the average score was 38% suggesting that, while some brands were hitting the mark in some areas, there is still a substantial amount of work needed. One of the areas where brands fell down was when it came to providing effective contact details for visitors with 26% failing to do this and 45% leaving out contact details on press releases. The option to sign up for company updates was often lacking, with 70% of newsrooms failing to include any sort of email alerts. Locating information was generally difficult too, with 39% not including a search function. Brands also overlooked the importance of multimedia content, with 40% failing to provide even the most basic of image libraries and only 51% featuring video. Where image libraries did exist, they were often poorly stocked and limited in variety, with images of employees and customers only featuring in 44% of them. Nearly half (49%) of brands failed to meet the minimum image or video quality level required for publication. Similarly, 71% failed to embed multimedia within news stories. 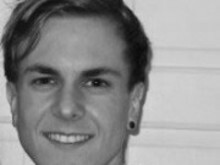 “A newsroom is often the first port of call for influencers looking to find out information about your company,” said Peter Ingman, CEO at Mynewsdesk. “Our study shows that, for even some of the world’s most recognised brands, there is work to be done when it comes to providing the necessary content and information. The full benchmark report - What’s the Story? - offers best practice guidelines and top tips for a successful online newsroom, with practical information, expert opinions and real-world examples. Download the full report free of charge here. Based on a decade of experience developing newsrooms for companies across the world, the Mynewsdesk team devised a set of best practice criteria, in conjunction with professionals from across the communications industry. Mynewsdesk then evaluated the top 100 global brands (as identified in Millward Brown’s 2012 Brandz Top 100) against these criteria and assigned each a score, up to a maximum of 58 points. Today the buzz in PR and marketing circles is about the “brand newsroom approach” - in which content is king and every organisation can benefit from thinking and acting more like a media company.